For people such as these we offer outcall treatment. Almost no preparation is required by the client. Simply create a space where treatment can be performed (a bed or futon), and then relax and wait for us to arrive. We will arrive with bed sheets, so there is no concern for oils staining your bed. For aroma massage, in principle the treatment will be performed with the upper body disrobed, however a sheet will be placed over the upper body for your comfort. For aroma treatment, a base oil of jojoba oil (or almond oil, canola oil, coconut oil, or olive oil) is blended with essential oils such as lavender or rose, or a citrus or woody type oil. *Although infrequent, for clients who prefer a scentless treatment, we also offer a scentless aroma treatment. For both men and women, please also take advantage of our regular shiatsu, massage, and acupuncture services. 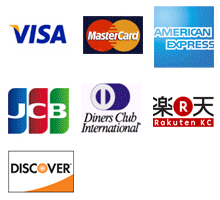 *Clients outside of the above areas will be charged 1,000 to 2,000 yen for travel expenses.